It’s interesting how another trip back to a game you love can really change your mind about it. 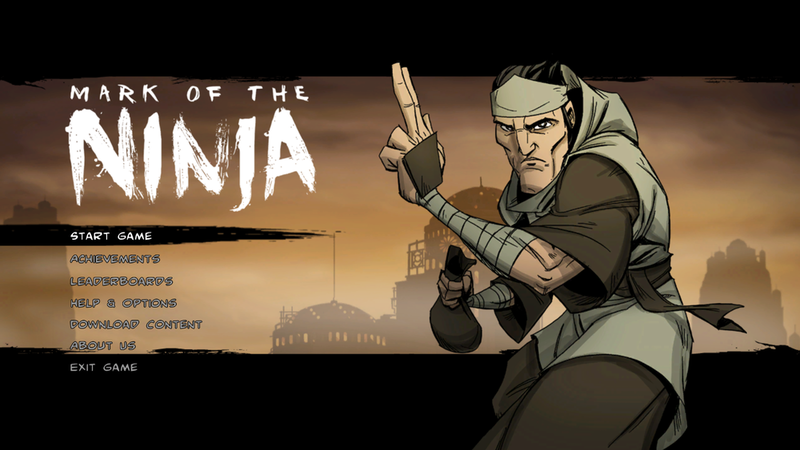 Mark of the Ninja was one of my favourite games of 2012, and, in my opinion, one of the best stealth games ever made. Mark of the Ninja: Sepcial Edition is its $5 expansion DLC, which adds a bonus level set before the events of the game, a new play style, two new weapons, and developer commentary. Going through the game again for the commentary reminded me that its still one of the best designed games ever made, but when it came to the new level, something clicked in my head. The new level that Special Edition offers somehow manages to show off why Mark of the Ninja is so great, and also why it could have so easily sucked. The new level stars Dosan, a ninja without the titular mark. For those of you who haven’t played the original game, or forgotten about the lore, the mark is what lets you freeze time to aim your throwing weapons, and use farsight to see through walls in a very clear take on the Arkham game’s detective vision. Dosan, being a technical pacifist, also doesn’t carry a sword, instead having access to an instant non-lethal takedown. For me, that last one sounded like a breath of fresh air. I love playing through stealth games as non-lethally as possible, slowly and methodically making my way through a level without being seen, and without touching a hair on my enemies’ heads. Unfortunately, that often slows down the game significantly. In games like Metal Gear Solid and Dishonored, this is par for the course, the game is meant to be taken slowly. But Mark of the Ninja is different. It’s fast paced and fluid and slowing down the game to play non-lethally really messes with the flow of the level sometimes. I figured that a non-lethal takedown would bring speed back to my pacifistic play style. Unfortunately, it doesn’t quite work. Dosan’s inability to slow down time while aiming, an almost essential feature when playing stealthily, essentially means that his throwing items (a dust cloud that confuses enemies briefly for an easy takedown, and poisonous spores that kill anyone who comes in contact with them) are completely out of play when you’re on the move. His takedown also leaves something to be desired, as it instantly knocks out any enemy it hits, unlike regular takedowns, which require a directional input and an extra button press. It’s a small thing, sure, but it’s what made lethal takedowns so visceral and exciting, and also offered the ability to mess up with them, granting you a kill, but creating noise that drew enemies to your location. Dosan is just as quick on his feet as the ninja of the original, and in fact, the new level almost requires speedy play, with enemies that have short patrol loops and a segment that has your usual methods of sneaking my enemies slowly taken away from you, one by one. That segment is actually when the DLC begins to come into its own, only to fall and frustrate you once again. Each time you activate one of the “traps” in this area, you lose one of your usual hiding spots. In the order of your choosing, you booby trap the scaffoldings and climbing spots, the vents, and the hiding places. Taking these three things out of play, three of your most important stealthy resources, makes for a very interesting level, but also highlights the flaws of Dosan’s play style. With no way to slow things down, directly kill enemies to get rid of their bodies, or hide and plan, an interesting level mechanic turns into an exercise in frustration, reloading from the last checkpoint for the fifth time because you spent one second too long in the vents and got impaled by the spikes that now line it. However, the level does come around to a much more satisfying conclusion, one that’s better tailored to Dosan’s strengths. The end of the level tasks you with either knocking out every guard in the area, or terrifying five of them. Of course, without the ability to kill or the game’s terror dart weapon, Dosan has a hard time of managing to terrify enemies. Also, the area this challenge is given to you in is sprawling, intricately connected, and has dozens of guards with variable patrols. Terrifying one guard in the corner of the map can completely alter how the rest of the guards move around the level. Not to mention the fact that terrorized guards shoot wildly into the air and can hit you, or worse, mess up your plans by hitting other guards. This challenge, clearly designed around Dosan’s ability to play fast and loose, without too much planning, is one of the most sublime setpieces in the entire game. Dashing and swinging around this massive complex, with an unconscious guard in tow and three at your back creates a sort of tension the game didn’t have until now. Special Edition forces you out in the open and into direct, non-violent confrontation with the guards, in a level perfectly designed around the play style they invented for it. It’s perfect, and almost makes you forget how the rest of the level is sort of lacklustre. As for the commentary, I was expecting it to be audio-based, like in Portal. I was surprised to find text commentary strewn across the level instead, stopping me every time I wanted to read up on the game. Of course, any look into how Klei made a game I love so much is appreciated, but I have to wonder if audio commentary wouldn’t have broken up the flow of the game as much, especially in a game so focused on fluid play. Klei has the chops to make incredibly designed stealth levels. They put out an entire game full of them. It’s slightly off-putting that they didn’t seem to get their game together until the very end of this DLC. It unfortunate too, because they made the rookie mistakes that would have turned Mark of the Ninja into a bad game. Easy takedowns, weird pacing, boring, straight hallways lined with unpredictable traps, all these things and more populate the first three quarters of Dosan’s tale, but brave them all, and you’ll find the crown jewel of Special Edition: proof that Mark of the Ninja can still be a spectacular game when it wants to be.